You are feeling good about yourself and you want to show the world that you have something to offer. You feel that way inside but you look says something totally different. How to get the outside to match how you feel on the inside? Well you have got to Dress for Success. But how do you accomplish this? Number one you have got the dress the part and by dressing for the part I mean that you have got to dress for the job, career, or business that you want, not for the one that you currently have. Example if you wanted to be a successful Hair Stylish, you have got to look like you have your hair in order. Would want to go to a Hair Stylist whose hair was always a mess? I dont think so. This analogy could be used in just about every profession. Now this does not mean that you have got to go out and spend an exceptional amount of money to get a whole new look. This new look can be accomplished by adding a few pieces of accessories to your existing wardrobe. 1) Add a piece of jewelry to an outfit. It can be a nice bracelet, a simple necklace, a pair of earrings or even a nice watch. Dont over do it with the jewelry. Just add something simple to your already existing outfit. 2) Dress up a pair of jeans. I know we dress up for work five days a week and we want a day where we can just tone things down and relax. Dressing up a pair of jeans can be as simple as changing from an old t-shirt to a nicer shirt or maybe a blouse. You can even add a simple jacket depending on the outing. 3) Update you current handbag. By adding a simple handbag you can create a totally different style in the way that an outfit looks and the way that you feel. Handbags are an accessory to any outfit and you should think of it as such. 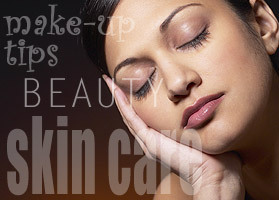 4) Incorporate some simple beauty tips such as drinking plenty of water. Water promotes rejuvenation of the skin to give the skin a natural healthy glow. 5) Take some time out for yourself. Every one needs time to unwind and relax. In a previous article that I wrote Finding Time to Pamper Yourself, I outlined some tips to follow to assist in taking and making the time for yourself. Remember that the key to looking and feeling your best is to take care of yourself. If you incorporate some of these tips that I mentioned you can be on your way to build up your self confidence while creating or updating your style. © Copyright Donna McAlister, All Rights Reserved . This article may be reprinted, with all information, authors bio, and hyperlinks intact. Donna McAlister is the owner of A Stylish U, an online fashion accessory company that carries a wide selection of hip, trendy, and contemporary jewelry and handbags. To find out more about our products visit us at http://www.astylishu.com.